But let’s stop to think about a middle position, somewhere between Ebert’s point-of-view and mine. Maybe video games ARE art — but are they any good at being that? One of the beautiful things about different forms of media are that they each excel in specific ways, while failing at others. Movies can give us a visual form of a story in a way nothing else can; the most wonderfully written description pales in comparison to even the most poorly filmed movie, in terms of giving us an image of what the scene or characters look like. In contrast, a movie will never, ever be able to get inside a character’s thoughts the way a book can. Music, paintings — they all have their strengths. Do video games? Many people think of video games, at least those that focus on a story, as an interactive movie. If we go down that path, video games seem clearly inferior. It’s just a movie that has removed authorial intent (something I don’t find at all important, but some do) and inserted repetition. If a developer sets out to make a game solely as a piece of art, wouldn’t making it into a movie improve it? And the answer is, yes. If you’re trying to provoke the exact same feelings that a movie does, it would seem the smarter choice would be to just make a movie. But here’s where I reject that initial premise: video games and movies have a different strength … at least in my opinion. I think I finally came to realize this while playing Dragon Age 2. One of my favorite characters is Bethany, your player character’s sister. She’s actually just kind of a normal, if a bit sheltered, girl, with no real quirk. But I liked her anyway. And then what happened? She died. I felt sadness, anger, and eventually, acceptance. Upon reflection, I knew why the writers had made that decision. It added to my player character’s, well, character. And I went on with the game, remembering my sister fondly. It was only after I completed it that I browsed the Dragon Age wiki and found out that Bethany’s death was not at all preordained. 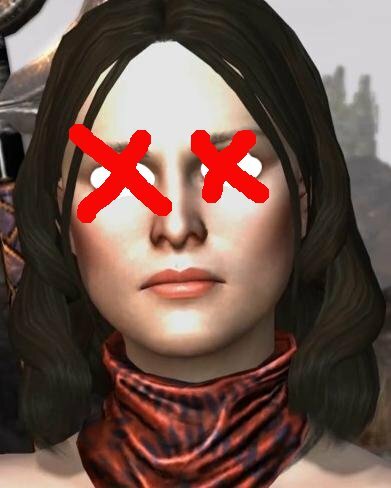 She could have died in a number of ways, including at the beginning of the game. Or, if I’d made my choices differently, she may not have died at all. Here’s where people like Ebert would smile and say this is PROOF that games aren’t art. If Bethany could have died in any number of ways, or not at all, than her death means NOTHING. Without intent, there’s no story! Who’s to say what “really” happened? All true. But that didn’t make it any less sad when I saw her die in my arms. And this is where I think games excel. Bethany’s death provided me with an emotion that I never could have felt in a movie, book, or anything other than interactive fiction: choice. My choices killed Bethany. Not my character’s choices, though that is what they became; that can be felt in any type of media. My choices. The emotion of regret — “if only I had done this” — is incredibly powerful. And it’s one I’ve never ever been made to feel by anything other than a video game. “But!” the protesting reader screams. “Can’t you just reset and try again?” Well of course you can. Aside from the fact that this may be inconvenient depending on the length of the game, this is entirely possible. And it has to be possible for the issue of regret to come about. If I’d not been given the opportunity to choose this path, I could never regret it — and to truly give me the choice, I’ll have to be able to choose to keep her around too. But even if I replay the game, does that somehow nullify the original emotion I felt? Of course not. People in high towers like to somehow pretend that stories are written in stone, and anything that sullies that vision of ‘canon’ is ruinous. That’s absurd. I can read as much Ginny-Hermione slashfiction as I can fit on my harddrive, and still feel butterflies in my stomach when Ginny kisses Harry in Harry Potter and the Half-Blood Prince. The same goes for any form of art. Multiple interpretations exist, but they don’t all have to be mutually exclusive. So here’s my challenge to Ebert (as I know he reads this blog religiously), and anyone else who disputes that video games are art. Find me a painting, movie, book, song, play, radio drama or anything else that can make me say “Wow, I really wish I hadn’t done that,” and I’ll give more credit to your train of thought. having pretty much as equally broad view of art as you, i certainly can't disagree with your points. my biggest "games as art" moments were in the first "Bioshock" – it was a devastated, though still beautiful, landscape and i could move through it and examine it from different angles and view… when i wasn't fighting for my 'life'. Beautiful. Next time someone gives me the side-eye for playing video games with all my free time, I'm sending them this link.